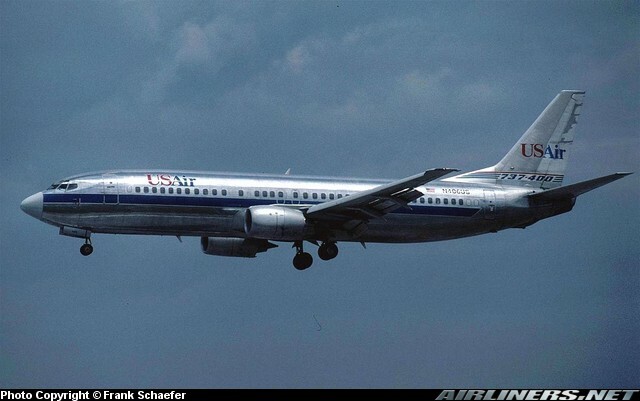 USAir Boeing 737-4B7, N429US, is shown arriving at Miami International Airport in December 1989. 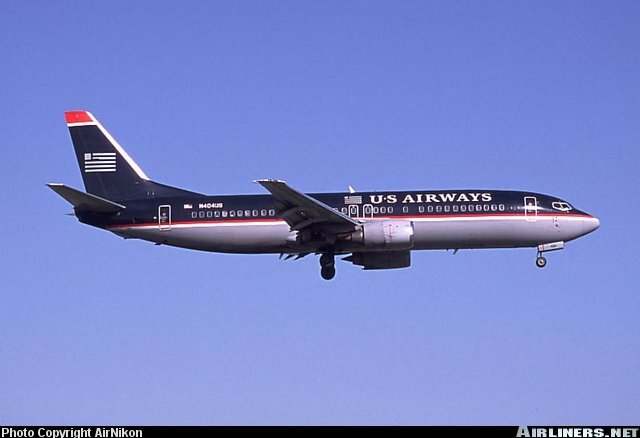 USAir titles following the merger of the two carriers. 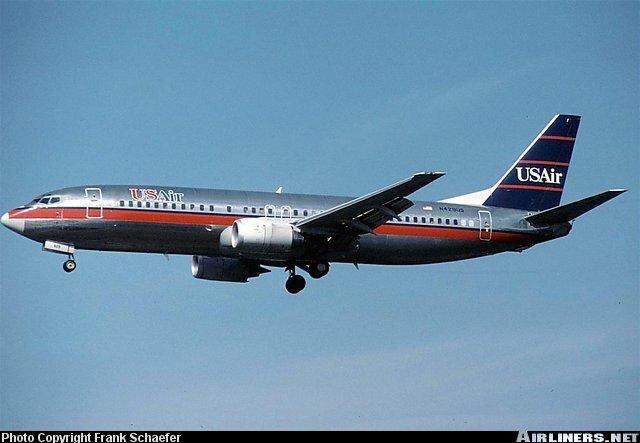 US Airways Boeing 737-401, N404US, is shown arriving at Chicago O'Hare International Airport on August 22, 2000.